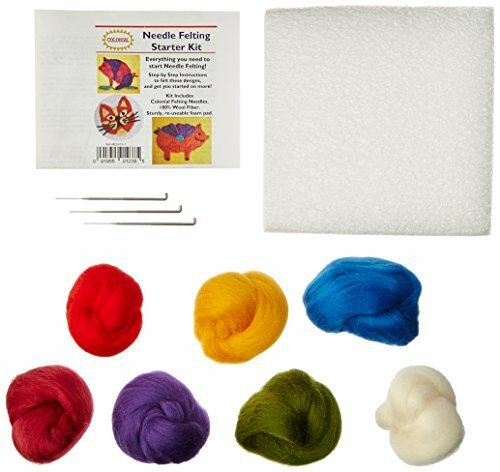 Everything you need to start needle felting! Step by step instructions to felt a few included designs and get you started on more. Kit includes: Colonial felting needles, 100% wool fiber, and a sturdy, re-useable foam pad.